The wait for a comprehensive PC that ticks all the required fields is finally over. Although the pc market is flooded with computers of different makes and models, one look at the new Asus ET2040IUK and you instantly know this is what was missing. This is a computer that places equal importance on optimized performance, better productivity, excellent graphics, multimedia-enhanced and incredible connectivity. Watch its entire capabilities on this YouTube video. 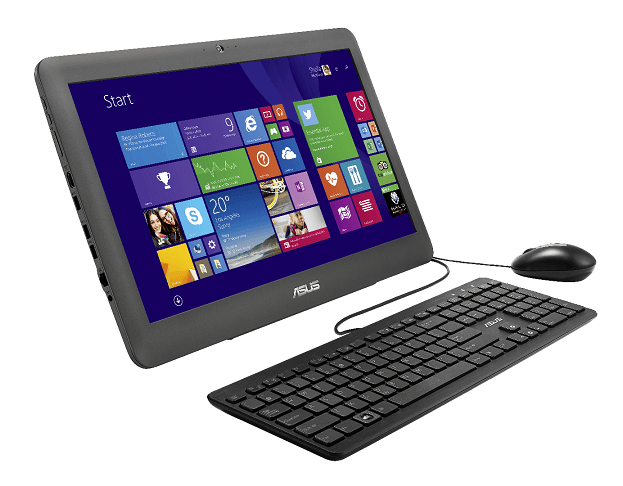 It is amazing how the Asus ET2040IUK is designed in such a way so as to satisfy customers from all walks of life. Be it the display, configuration, storage, memory or the operating system, there is no room for complaints. And yet all this comes at a very affordable price, making it an instant hit among computer users. Let’s take a closer look at what the Asus ET2040IUK promises. You can view a complete list of specifications at the Asus product page. A 19.5 inch HD LED backlit widescreen display ensures an optimized viewing experience that is going to be a delight when you sit down to watch a movie at the end of a long day. Powered with an Intel Pentium Quad Core J2900 Processor & Celeron Dual Core J1800 Processors, it has the configuration to promise a powerful experience every time you boot on the machine. This means lesser loading time, faster response, incredible graphic support for games and much more. Asus recognizes your need for more storage spaces and has hence equipped the Asus ET2040IUK with a 500GB storage option. It also comes with a 100GB free storage on the ASUS cloud. This is something that the users are going to love because this enables them to store all their valuable data on the cloud rather than storing it on their computer. They have an option to upgrade the storage limit by paying a nominal charge. It comes with all other standard accessories expected from an Asus computer. This is definitely something worth checking out going by the hundreds of positive reviews it has generated in such a short span of time. Try out this awesome product at Amazon today.